Market Massacre - Shemitah Judgment Beginning? I'm of the persuasion that the Shemitah year actually began in Fall 2015, rather than ending then. This means the culmination of the Shemitah year occurs in Fall 2016, followed by a '16-'17 Year of Jubilee. 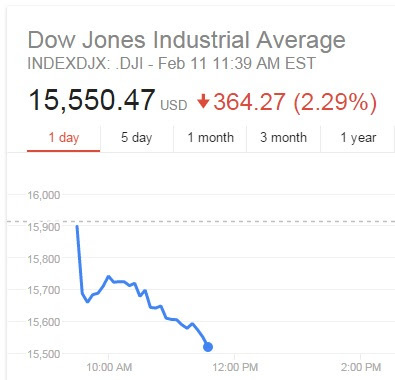 Today global markets are finally realizing we really are headed for collapse.